On Health Care, a Promise, Not a Threat McConnell warns GOP senators they may end up having to work with the Democrats. They should. Many Republican senators see that the American people are not in the mood for tax cuts to the comfortable and coverage limits on the distressed. Democratic senators, on the other hand, are increasingly aware that ObamaCare is not viable, and in some respects is on the verge of collapse. There is the beginning of a movement in the Senate for a bipartisan approach. Republican Susan Collins of Maine has it exactly right: Asked if she thinks it necessary for both parties to work together, she said: “That’s what we should have done from the beginning.” Republican Shelley Moore Capito of West Virginia said on Fox News Wednesday night: “I’m ready to roll up my sleeves and work with the Democrats.” Republican Ron Johnson of Wisconsin says it’s a ‘mistake’ to attempt a partisan fix. 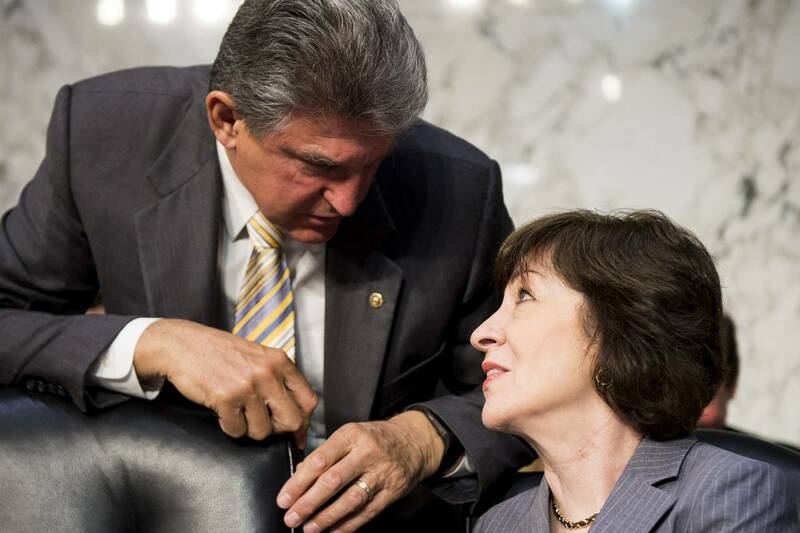 Democrat Joe Manchin, also of West Virginia, says he’s “ready” for a bipartisan effort. The New York Times reports senators from both parties met privately weeks ago to discuss core issues. Mr. Manchin was there along with Democrats Joe Donnelly of Indiana and Heidi Heitkamp of North Dakota. Among the Republicans were Sens. Capito and Collins, Bill Cassidy of Louisiana and Lindsey Graham of South Carolina.